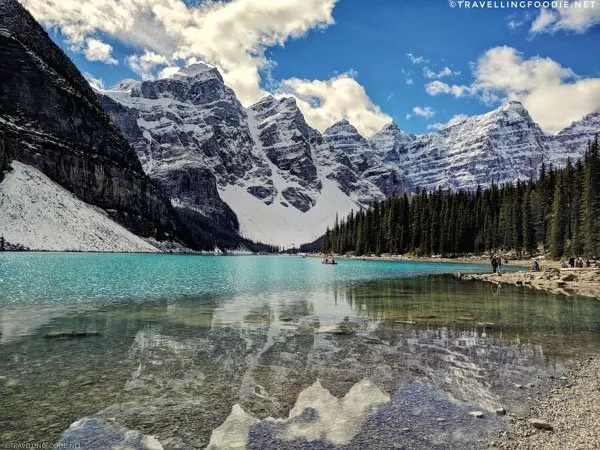 One of the best road trips you can do in Western Canada is the Canadian Rockies, which is the Canadian portion of the Rocky Mountains in North America found in both Alberta and British Columbia. 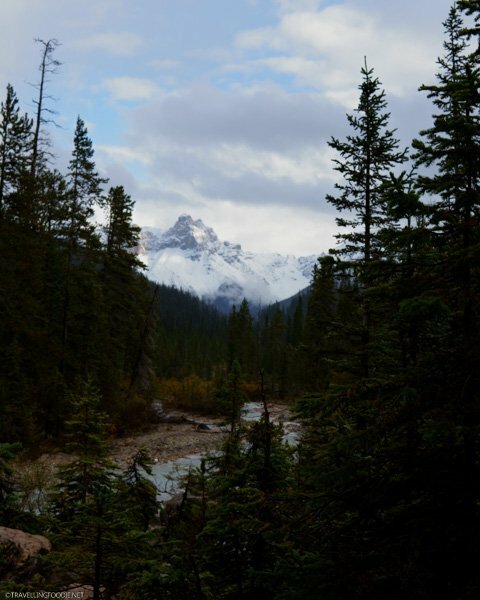 We did a 5-day road trip along the Canadian Rockies the past September, and it was a blast! 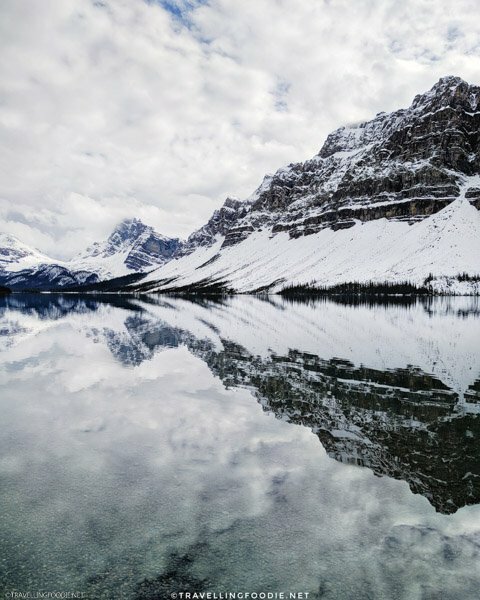 The Canadian Rockies definitely have some of the best views I’ve seen in Canada. Did you know? 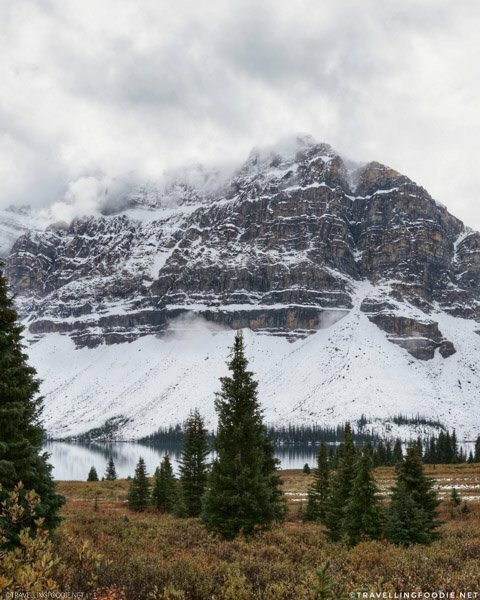 The mountains are more jagged in the Canadian Rockies than its American counterpart because they have been more heavily glaciated. You will notice this from the photos. 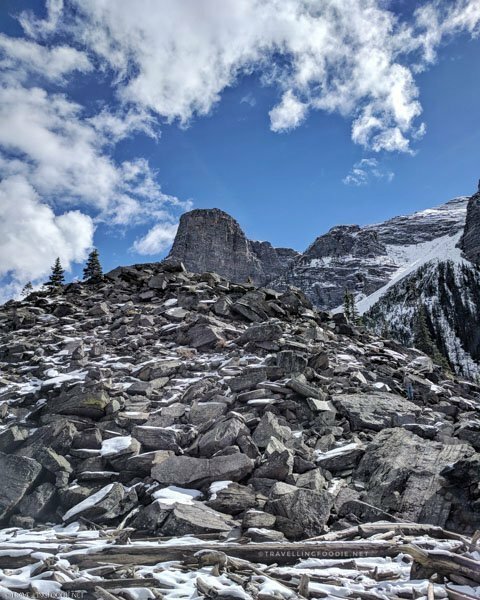 We visited Banff, Yoho and Kootenay National Parks which are three of the four national parks in UNESCO World Heritage Site’s Canadian Rocky Mountain Parks. The fourth one that we didn’t get to visit was Jasper since it was too far from our lodging at Panorama, BC. 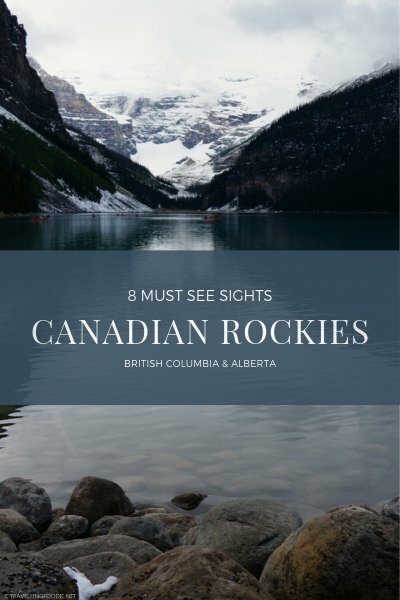 From this trip, here are 8 of the must-see sights in the Canadian Rockies, which are some of the most popular attractions in British Columbia and Alberta, and Canada as a whole! Did you know? 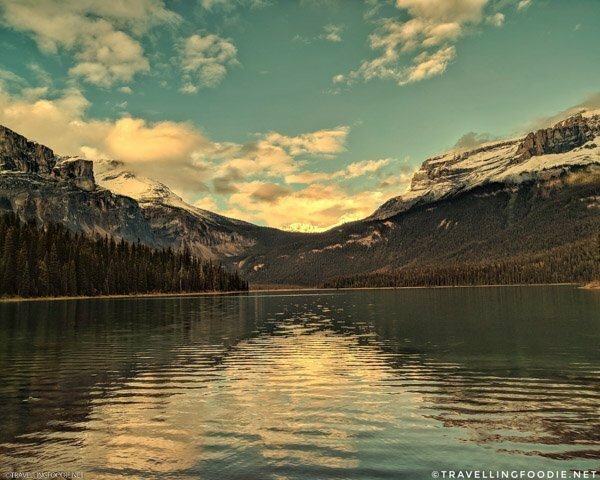 Established in 1885, Banff National Park is Canada’s first national park, and the third in North America, after Yellowstone and Mackinac National Parks. 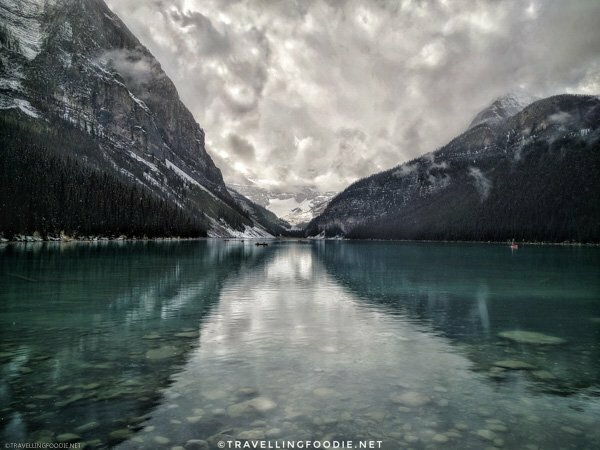 Perhaps one of the most famous lakes in the world, Lake Louise is known for its turquoise, glacier-fed lake with a backdrop of rugged mountains or the popular Fairmont Chateau Lake Louise. During the summer and before it gets cold in the fall, a great way to experience the lake is by doing the canoe. During winter, the frozen lake becomes a skating rink. Parking is very limited here, and you might need to take the shuttle during peak seasons. 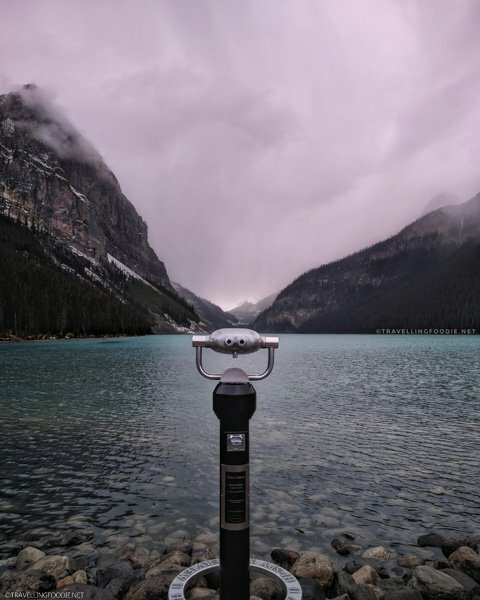 With its popularity, expect a lot of people in Lake Louise. The nearest viewpoint from the parking lot will be flocked with tourists so you might want to hike a little further for some isolated views. 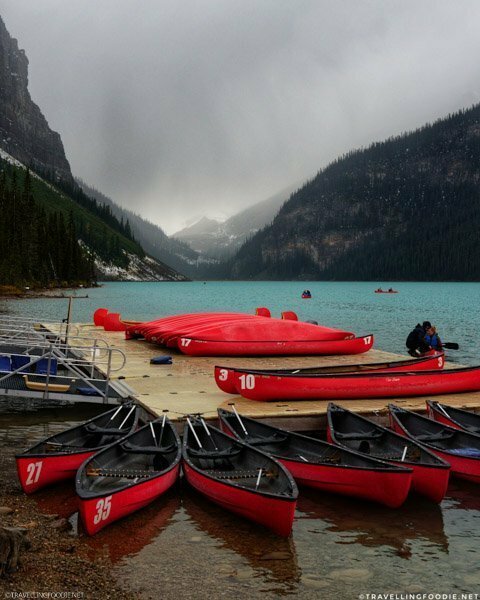 Just near Lake Louise and 14 kilometers outside the Village of Lake Louise is Moraine Lake. You will actually pass-by the road going to this lake on you’re way to Lake Louise. 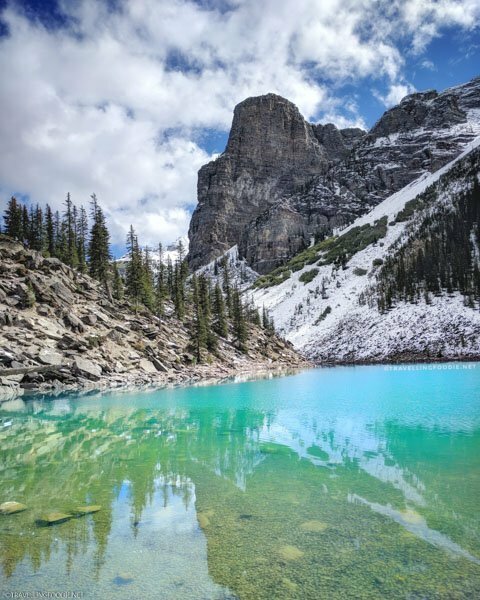 Situated in the Valley of the Ten Peaks, this glacially fed 50-hectar lake has a vivid blue-green colour with an epic backdrop of mountains, waterfalls and rockpiles. I was actually more amazed by Moraine Lake than Lake Louise. 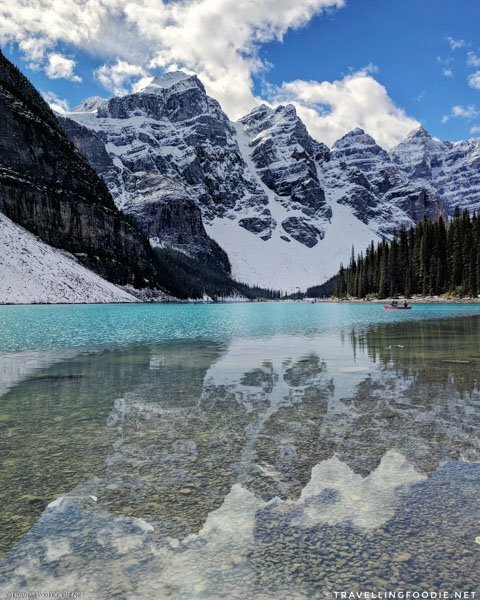 At Moraine Lake, you feel intimate with nature because of how much closer they are to you. You are surrounded by different kinds of nature even without hiking. When you arrive at the lake, the first thing you’ll notice is the huge rockpile on the left. Yes, you can climb the rock pile that gives you a great viewpoint. There is also a Rockpile Trail with signs along the way teaching about the geology of the region. 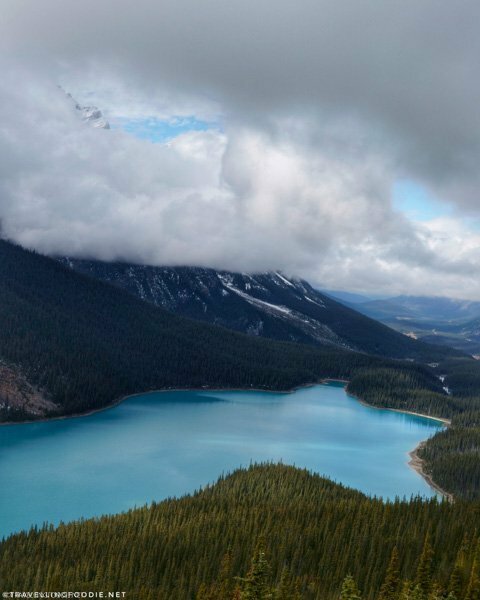 Perhaps one of the best views in Canada is Peyto Lake, named after Bill Peyto, an early trail guide and trapper in the Banff area. 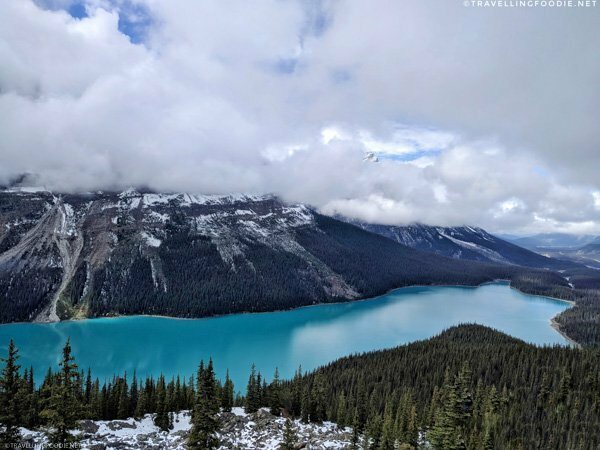 This glacier-fed lake from the Icefields Parkway is popular for its vivid turquoise color that doesn’t require photo-editing, and breathtaking backdrop of snow-capped mountains, valleys and forests. The best view of the lake is the lookout high above the water, which is where we went. Travelling Foodie Tip: If you don’t want to do an elevated hike, you can join a tour company instead. They have access to the second parking lot that is so much closer to the lookout. Doesn’t the tip of the lake look like a maple leaf? Nature is funny and unpredictable. 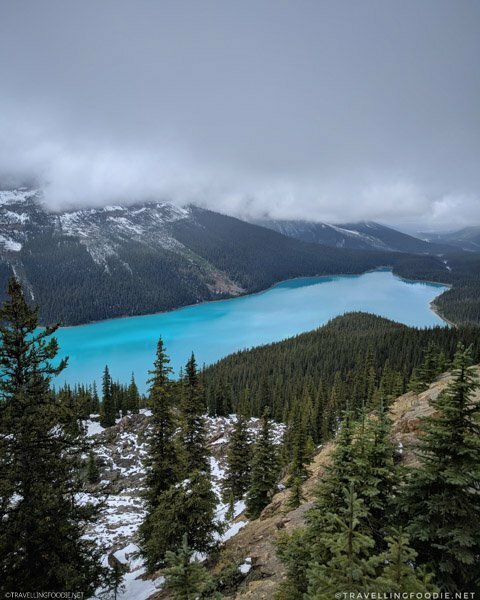 After we drove for 2 hours to reach Peyto Lake, it was snowing very badly, and we pretty much couldn’t see any views at all since it was all fogged up. We decided to leave and, on the drive back, we stopped by the Bow Lake overlook (below) along the parkway to take some photos. While at Bow Lake, we saw the clouds cracking and the sun started to show. 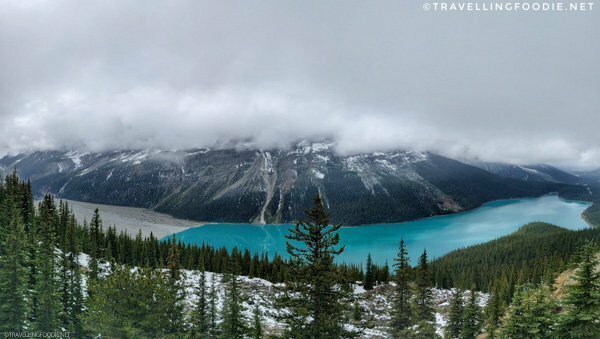 Since we drove so far already, we took the chance and headed back to Peyto Lake. We’re so glad we did because the views had cleared up at that point. We were also lucky. There wasn’t a lot of people anymore because most people and tour buses had left already from the bad snow and fog just 30 minutes before. 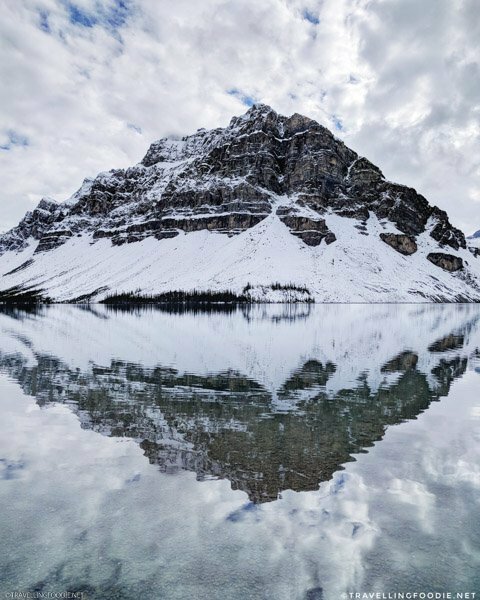 Located on the Bow River off the Icefields Parkway (Hwy 93), Bow Lake is one of the largest lakes in Banff National Park at an altitude of 1920 metres (6300 feet). Did you know? Bow Lake is fed by meltwater from Bow Glacier. 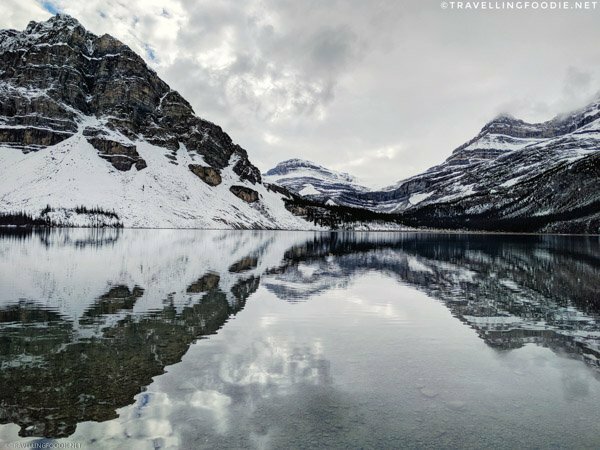 Going back to our road trip: After we went back to Peyto Lake, we also decided to come back to Bow Lake and get closer to the lake since the street-side lookout showed more of Crowfoot Mountain than the lake. And again, we’re so glad we did! 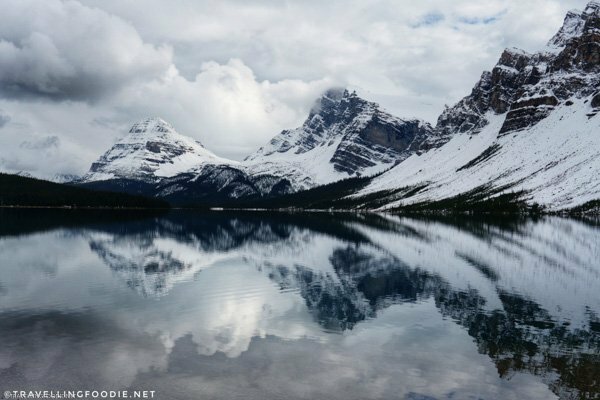 I was blown away with the reflections here which feature Crowfoot Mountain, BowCrow Peak, Mount Thompson and a glimpse of Bow Glacier Falls. Since we went on a cloudy day, the reflections really looked like mirror images. Interestingly, Bow River stretches for 587 kilometers. 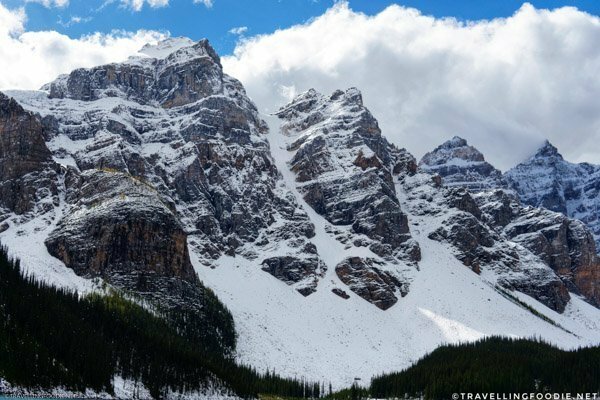 One of the best spots to see them is at the Town of Banff itself. 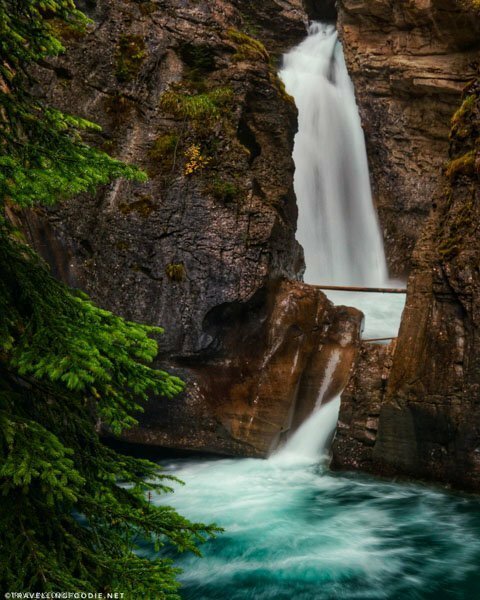 Johnston Canyon is another popular natural attraction in Banff National Park due to its geological features. 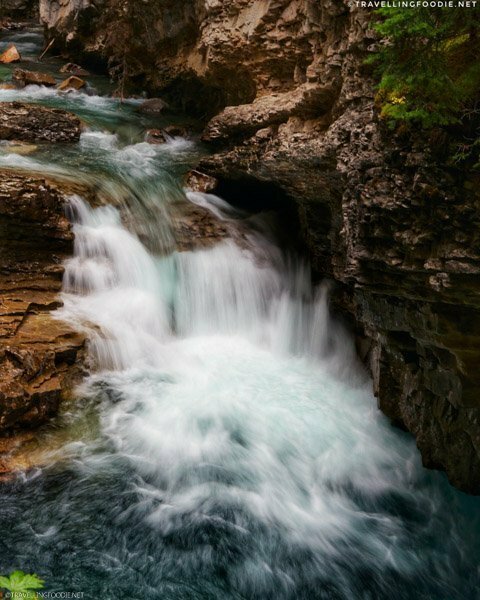 Carved into a limestone bedrock by thousands of years of water erosion, the canyon offers walls, waterfalls, the Johnston Creek (a tributary of the Bow River), and forest. 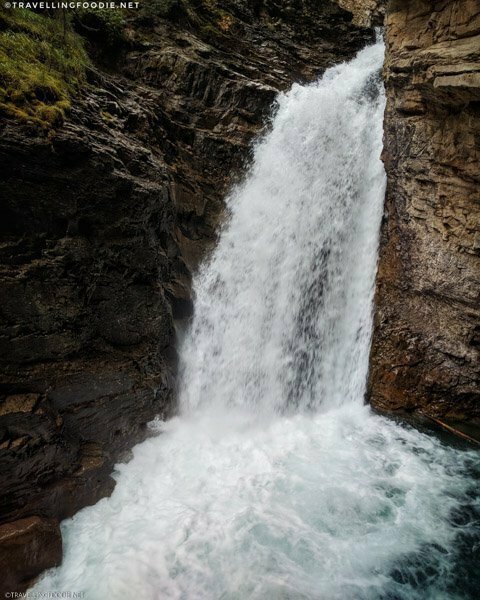 We did the Lower Falls hike which is an easy 1.1-kilometre hike, around 25 minutes. I love how intimate the hike is since you are actually hiking inside the canyon. The trail is well-developed so it should be good for even casual walkers. 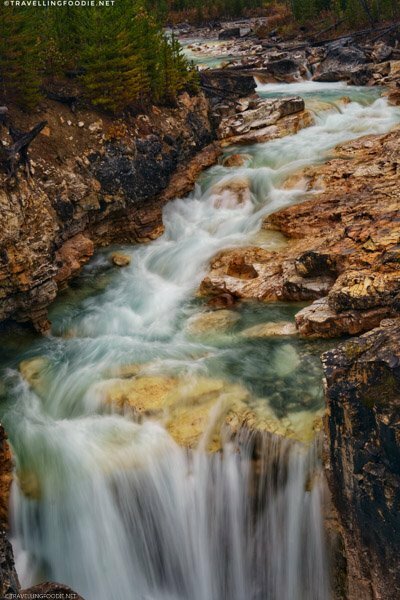 While hiking along the canyon, you also have beautiful views of Johnston Creek throughout. At the end of the hike, you will see a bridge across the creek and that’s where you’ll find the Lower Falls, a cataract waterfall with three sharp turns. 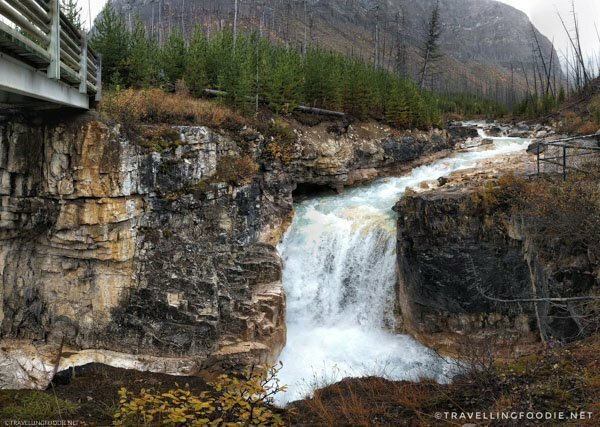 Travelling Foodie Tip: Cross the bridge and you’ll find a short tunnel through the bedrock which gives you an up-close view of the falls. Did you know? 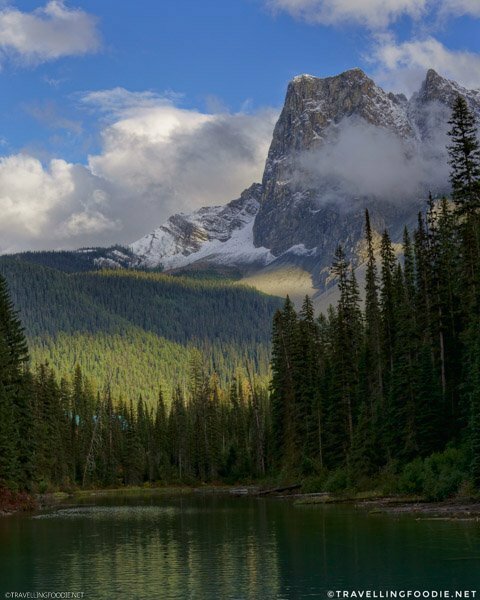 Yoho National Park is named for a Cree expression of awe and wonder which applies to the beautiful nature in the park. 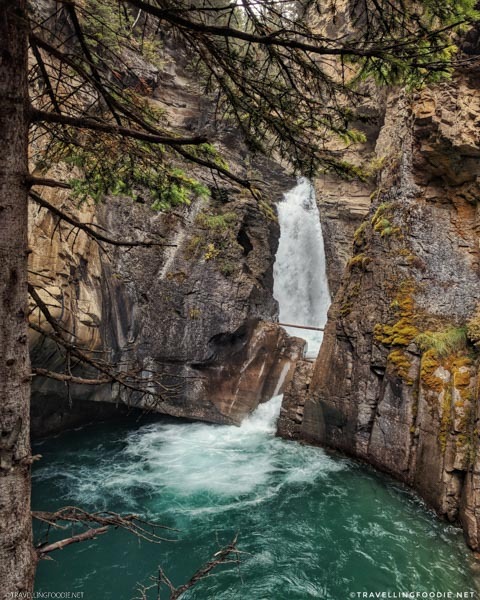 Established in 1886, it is Canada’s second national park. 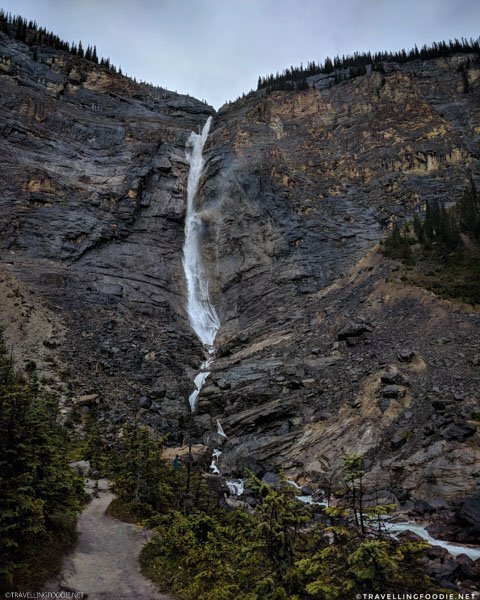 Fed by the Daly Glacier above it, Takakkaw Falls is Canada’s second tallest waterfall with a height of 380 metres and a freefall of 254 meters. 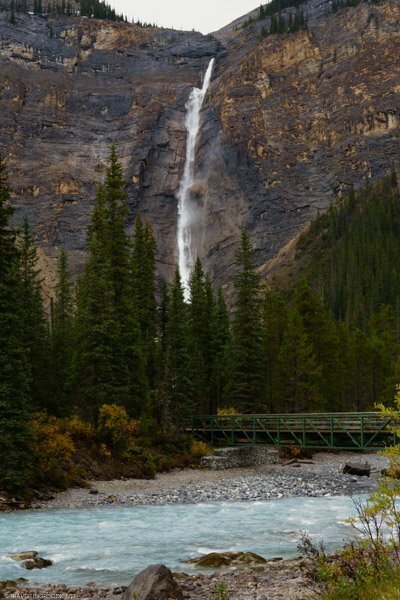 I love easy hikes with big rewards, and Takakkaw Falls was no exception. A nice and easy 0.5-kilometer hike brings you to the base of the falls. Throughout the hike, you get views of the falls too so it’s interesting to see the different scenes you can have the falls with. 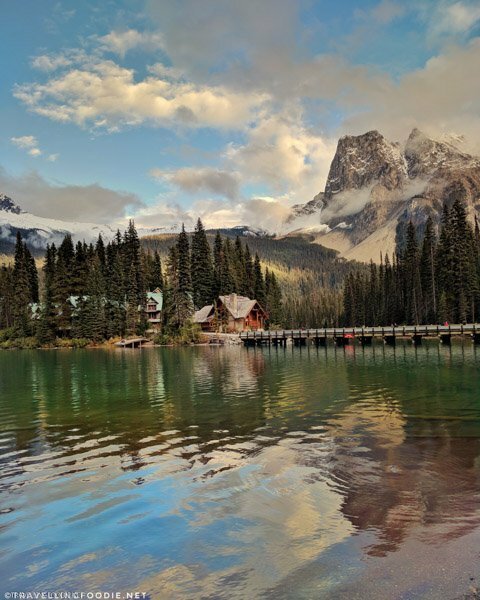 Discovered in 1882 by mountain guide Tom Wilson, Emerald Lake is the largest of Yoho National Park’s 61 lakes and ponds. 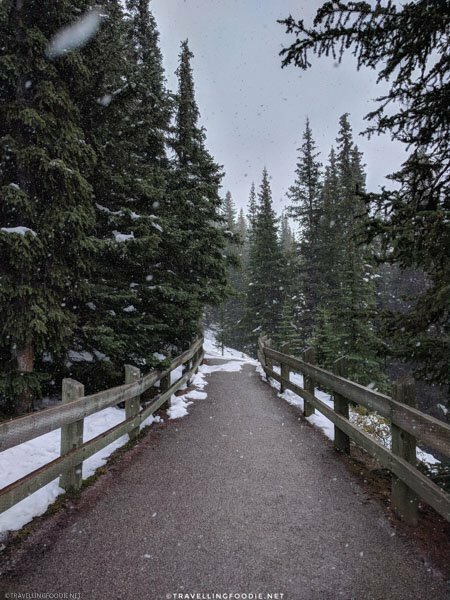 Travelling Foodie Tip: While it’s easy to walk along the bridge to admire the views, go on the unpaved path which brings you to the best panoramic view of the lake. 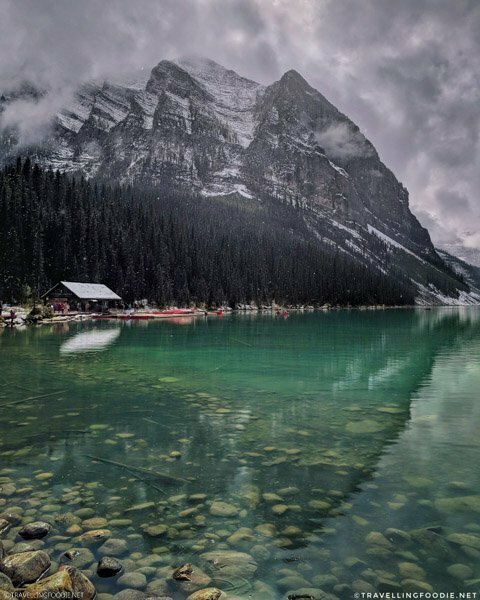 One of the most iconic shots of the Emerald Lake is with the high-end Emerald Lake Lodge perched on the edge of the lake. Did you know? 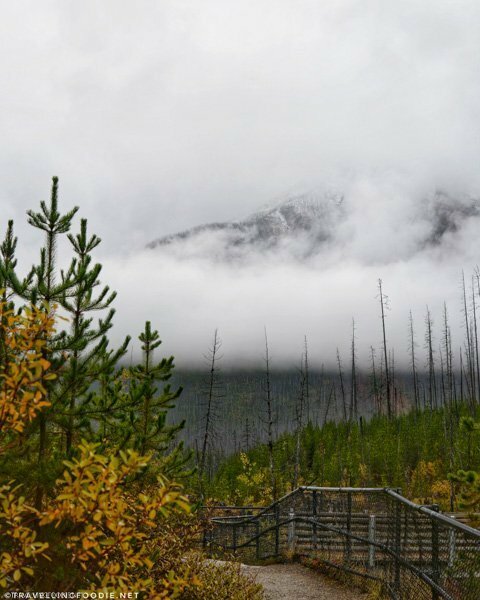 The name Kootenay came from old spelling of the Ktunaxa First Nations, who made use of the area and its hot springs hundreds of years ago. 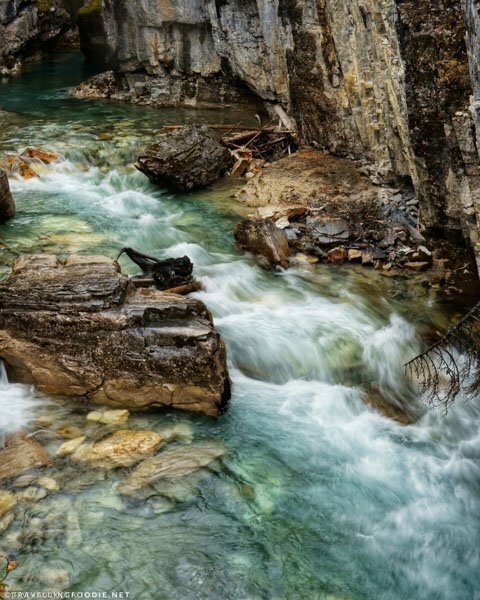 A colourful canyon in Kootenay National Park, Marble Canyon offers a well-developed trail that takes you along Tokumm Creek. Beauty starts at the parking lot with a very scenic view. 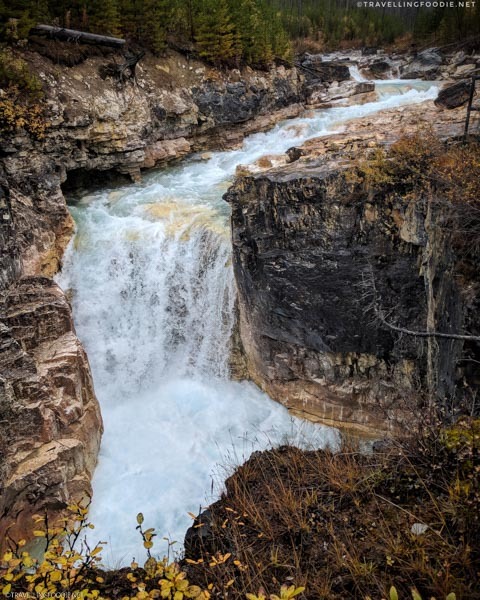 In contrast to Johnston Canyon where you hike inside the canyon, Marble Canyon’s hike is on top of the canyon, giving you a “look down” view of the canyon shaped by fire, erosion and mountain-building along turquoise waters. At the end of the trail, you are rewarded with a beautiful waterfall! As you hike, you’ll notice that burnt trees surround you. 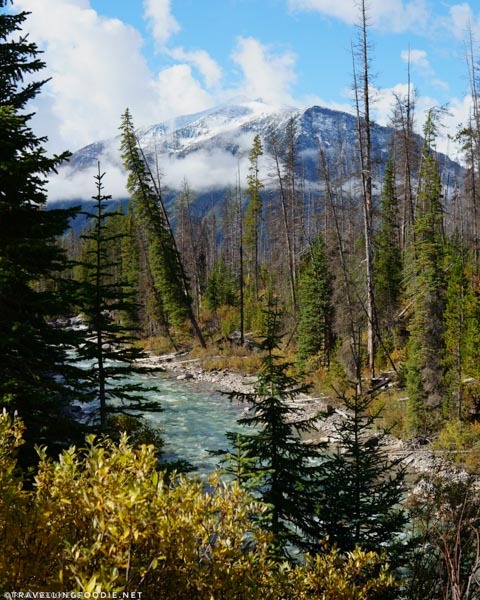 These are remnants of the blazing forest fire that swept through the Kootenay National Park in 2003. 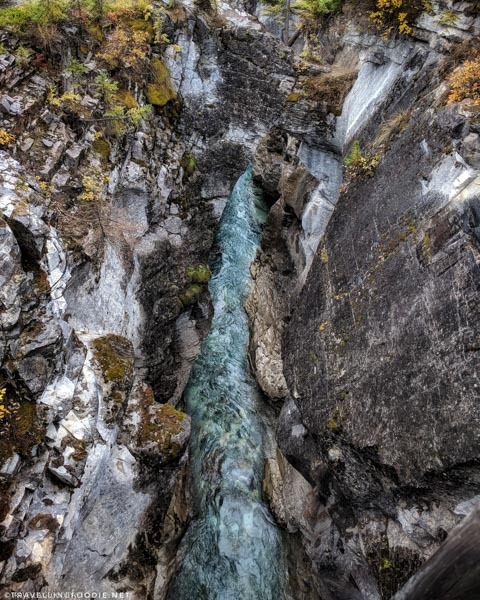 This month-long forest fire almost destroyed Marble Canyon and the trail’s bridges and railings. 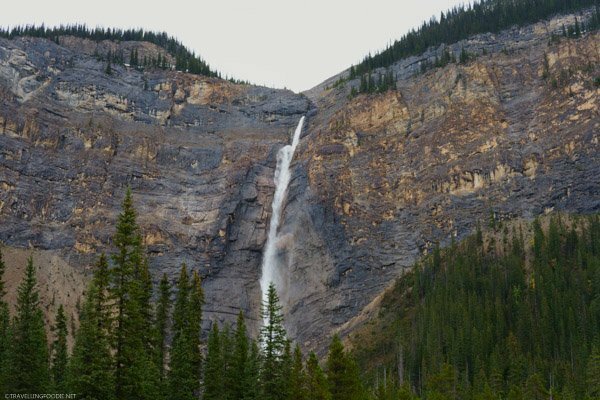 Hope this gives you an idea which nature attractions to see in the Canadian Rockies! You’ll definitely get to enjoy some of the best things to see and do in Canada here! 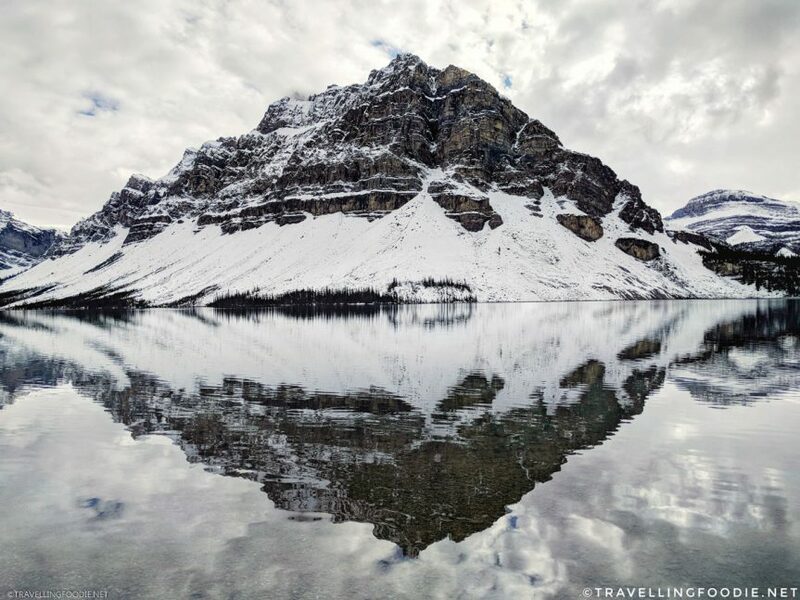 Posted on November 6, 2018 December 3, 2018 by Travelling FoodiePosted in Alberta, Banff, British Columbia, Canada, Field, Lake Louise, TravelTagged activities, guides, nature.